Did you know peanuts are one of the most common allergy-causing foods, especially in children? Peanut allergy symptoms can range from a minor irritation to a life-threatening reaction. 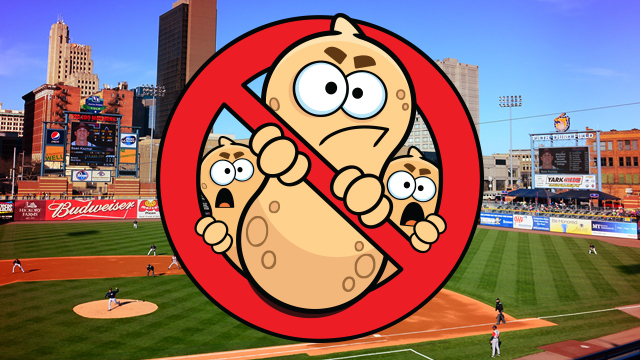 If you have a peanut allergy, but really want to attend a Toledo Mud Hens game at Fifth Third Field, this is your opportunity! The Hens will host two "peanut free events" this season. On Tuesday, April 21 and Thursday, April 23 fans with peanut allergies can purchase an all-inclusive ticket in a Mud Hens party suite, where all items served will be peanut-free products. The all-inclusive ticket will include an all-you-can-eat buffet meal! Fans with "peanut-free event" tickets will be provided early entry into the ballpark. Tickets are $35 for adults, $30 for children. Fans will have also the option to purchase a Mud Hens hat for just $8. The Mud Hens take on the Louisville Bats at 6:30 p.m. on April 21. The Mud Hens play the Indianapolis Indians at 6:30 p.m. on April 23. Call 419-725-4367 for tickets or click the links to order online.